the future direction of the field and their own institutions by following what’s happening at a national level as well as with traditional planning elements (such as the mission statement and SWOT) to help navigate the future. Indeed, this is suggested by the most common search terms that lead readers to the blog: SWOT matrix, community engagement best practices, current trends in mobile computing, and social cultural trends (notice it is not historic sites, house museums, history, or preservation–hmm). Also commonly searched were personal names and other than my own (I’m amazed how many people spelled my name correctly–wow! ), the most popular ones were Laurie Ossman (at the Preservation Society of Newport County), Curtis Viebranz (at Mount Vernon), Anthea Hartig (at the California Historical Society), and Dennis Pogue (at the University of Maryland). Not sure what this means, but it would be an interesting group to invite to dinner or a poker game. 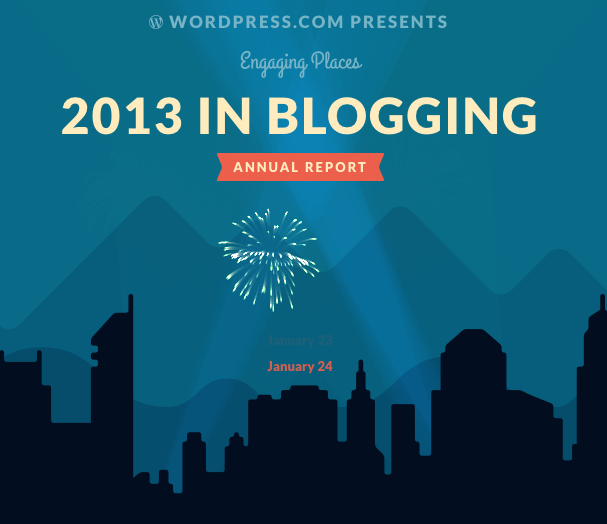 By far, most readers come to the Engaging Places blog via a search engine, such as Google. Next are the social media giants of Facebook, Twitter, and LinkedIn (sorry Google+), no doubt a result of the automatic posts generated by my blogging software. They’re followed by individuals and organizations that linked, retweeted, or mentioned my blog, so I especially want to mention those that generated significant referrals: PATrailheads, NPI, PQLiving, Alaska State Museum Bulletin, IntentionalMuseum, Robert Connolly and Archaeology, Museums, and Outreach, PreservationLeadershipForum.org, AASLH, Gretchen Jennings, and Lee Wright and The History List. What a diverse group! Finally, thanks to all of you for reading and commenting on the Engaging Places blog this past year (especially top commenters Lee Wright, Elizabeth Milnarik, Robert Connolly, Kristin Gallas, and Sandra Smith). I plan to keep sharing news, ideas, and opinions for connecting people to historic places and this month I’ll share what’s happening financially at museums and historic sites by examining the IRS Form 990, starting with a look at the nation’s biggest museums (can you name them?). It’s in preparation for a symposium in March 2014 at Gunston Hall on trends at historic sites for the Historic House Museum Consortium of Washington DC. I hope to meet some of you then, but otherwise, I’ll look for you on the blogosphere! This entry was posted in Uncategorized on January 6, 2014 by Max van Balgooy. That poker game sounds fun.